Nisha Varia, senior researcher with Human Rights Watch, traveled with Magnum photographer Susan Meiselas to Southeast Asia in 2006 to document a phenomenon that has remained remarkably hidden from public awareness and scrutiny: the massive migration of women for domestic work. The result of Varia and Meiselas' work together became Costly Dream, a stunning audiovisual slideshow. Suprianto, 27, is the primary caretaker for his 4 year old daughter Abigail. His wife, Widyaningsih, 27, has been working in Singapore for two years. Balearjo, East Java, 2006. Three years have passed since Susan Meiselas and I traveled to Indonesia and Singapore to try to capture visually the experience of women migrating to other countries for domestic work. In that time, so much has changed, and so little. Millions of Asian women, primarily from Indonesia, Sri Lanka and the Philippines, continue to migrate to wealthier countries in Asia and the Middle East as live-in domestic workers. Many have no viable alternatives for employment at home. Leaving behind loved ones, these women risk their safety in the hopes of earning money to build a home or pay their children's school fees. While many are "successful" in bringing home a salary, far too many others are locked in their workplaces and denied their wages. Most bear the burden of huge recruitment fees, and endure exploitive working conditions to pay them off. Governments have failed these women by excluding them from the standard labor protections enjoyed by other workers, which heightens the risk of abuse through restrictive immigration policies that give employers inordinate control. Migrant domestic workers may face a range of abuses, with little hope of redress. We know of thousands of cases involving physical and sexual abuse, forced labor, slavery-like conditions and death--just in the last few years. Many more remain uncounted. Although the situation remains bleak, there is much that gives me hope. 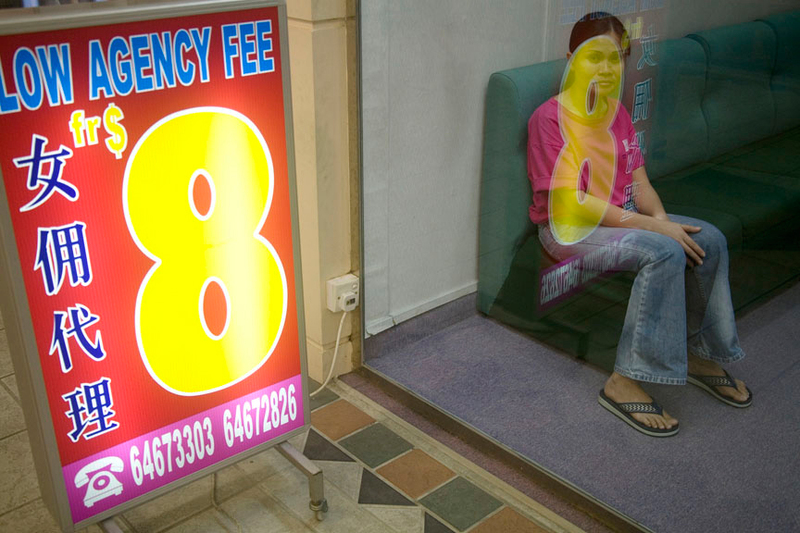 When I began this work seven years ago, many journalists and labor ministry officials were among those who argued against providing domestic workers with a weekly day of rest or allowing them to keep their passports. These days, there are growing movements of migrants, activists, officials, employers and journalists raising awareness about domestic workers' rights and fighting for reforms. Once invisible, there is now frequent and nuanced coverage of the working conditions of domestic workers in regional and international media, the blogosphere, and even several Facebook groups. The same newspapers that refused to cover our press conferences now write independent features critiquing their governments and demanding greater accountability. Fledgling civil society groups have grown in strength and number, and have innovated to influence public opinion and provide desperately needed services. Examples include help desks at airports, SMS hotlines, pocket-sized "know your rights" booklets in migrants' native languages, legal aid and shelters. The most inspiring to me have been the current and former migrant domestic workers organizing their colleagues, usually under daunting constraints. Legal reforms are inching forward. Jordan amended its labor law to include domestic workers, and many countries (including Singapore, the United Arab Emirates and Lebanon) have established standard employment contracts. Some governments are improving mechanisms to recover domestic workers' unpaid wages, and while many abusers go free, others have been prosecuted and convicted. The change has been slow, hard-fought and incremental, but it is change in the right direction. This change is happening not only at the national level, but globally as well. Given the widespread exclusion of domestic workers from core labor protections worldwide, the International Labor Organization and governments are deliberating a new international treaty on domestic work. Strong international standards would provide useful guidance for national reforms, and I continue to hope for the day when governments and societies value women's work and ensure respect for their rights. Learn more about Human Rights Watch's work on women's issues.